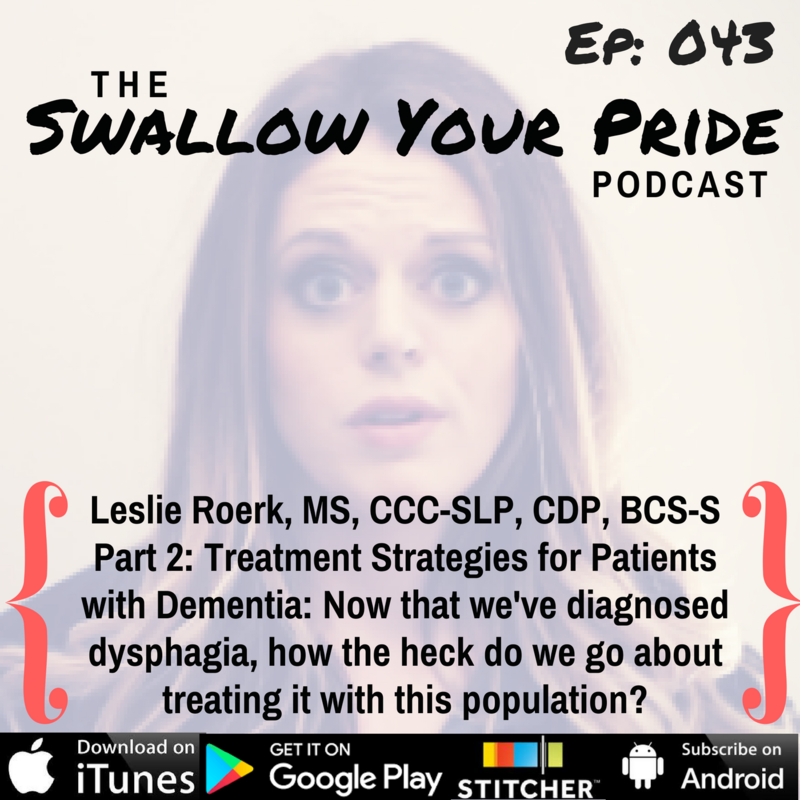 So now that we’ve diagnosed dysphagia in our patient with dementia, is there really, truly anything that we can do? Leslie Roerk is back for part 2 to help us with various treatment strategies for this population. 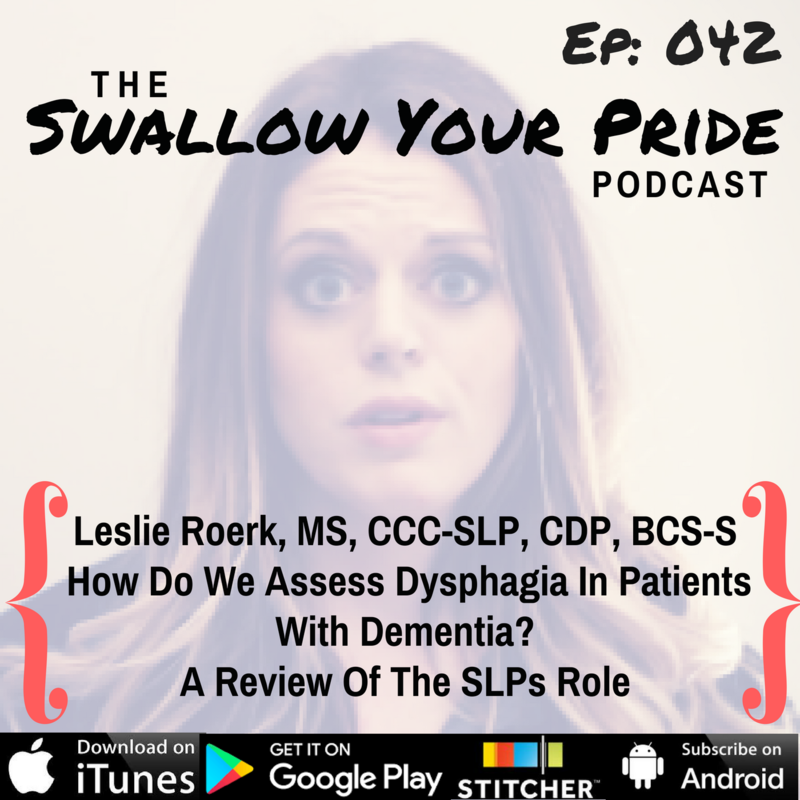 If you’re interested in learning more about treating dysphagia in patients with dementia, check out the show notes. Leslie created a list of references and other great CEU offerings. Download Ep. 042 & 043 Show Notes!